Magnesium is a mineral responsible for over 300 metabolic processes. It’s an anti-inflammatory mineral that offers protection from a host if illnesses and diseases and has been used to remedy problems like high blood pressure, diabetes, respiratory issues, and more. 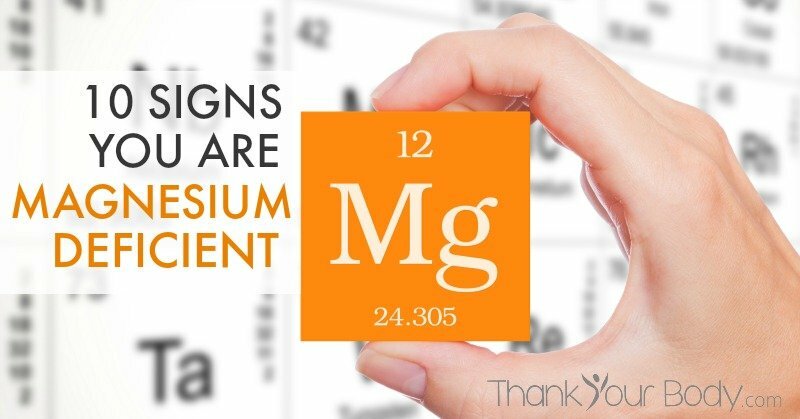 Of course, just because you have these symptoms doesn’t mean it’s all related to magnesium. As always, it’s important to talk to your healthcare practitioner if you have these or any other serious symptoms. But considering that our soil is so deplete from bad farming practices, it’s very common for people to be deficient in magnesium. I know I was. My first indication that I was magnesium deficient was due to some annoying restless leg action. Oh boy! Just when I wanted to fall asleep my legs would turn on to hyper-drive. Thankfully, I learned about the importance of magnesium not too long after that. At first I tried using a magnesium spray as a way to supplement my diet. It definitely helped, but it was messy and burned my skin. I already knew that *most* oral magnesium supplements weren’t that great. Most them use cheap magnesium oxide or magnesium citrate, which don’t absorb very well AND can be hard on the stomach. Thankfully after doing some more digging I found out that there are special forms of magnesium that actually do work well AND are gentle on the stomach. I also discovered that different forms of magnesium help different parts of the body. Some work better for cramps, others for sleep and relaxation, and others still for proper brain function. At the end of the day I ended up using a blend of the top 4 bioavailable (means “absorbable”) forms of magnesium called Quad-Magnesium™, and I’ve never looked back. It’s also for sale on Amazon for a couple bucks more. During my second pregnancy, I had some MAJOR leg cramps. Upon the recommendation of my amazing midwife I added trace mineral drops (like these) to my daily routine in addition to magnesium. It was incredible what a combination of the magnesium and a few of those drops before bed would do. No more leg cramps. Plus I get to reap all the other benefits of adding the other trace minerals to my body, too. Tell me? Do you supplement with Magnesium? Have you noticed a difference?